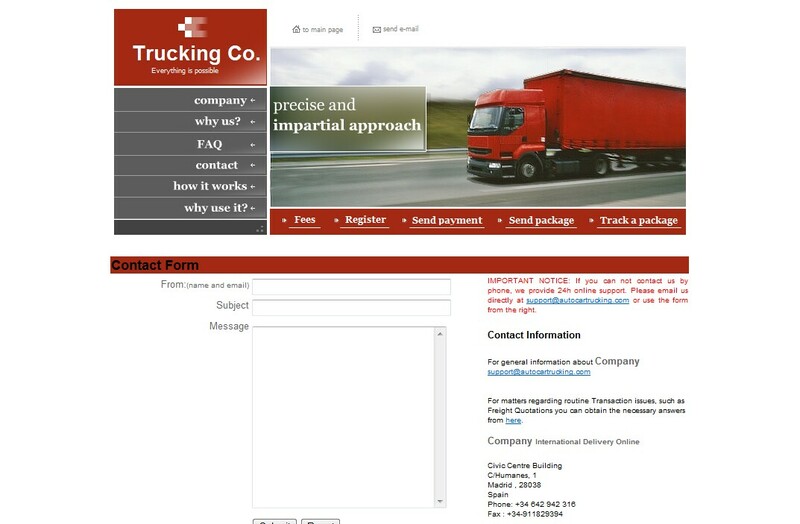 autocartrucking.com is a fake shipping and escrow site run by scammers in Romania. These criminals are placing fake ads on the internet for vehicles. The site offers no protection for users. They are giving their information to criminals. Because We Care and We have the Commitment to any Shipment. Through our previous experiences in the shipping industry and with our well trained personnel at International Federation of Shipping Associations "IFSA" and European International Shipping Association "E.I.S.A". steamer liners, customs, seaport and airport authorities. to deliver it world wide. - Our strength to assure our partners and corporate clients of personalized quality services. - We focus to understand our customers and strive to deliver with speed exceeding their expectations . - We have after working hours logistics programs for clients who need them. - We provide professional, reliable and personal logistical service. 1. Can I search with a BL Number issued by another carrier than Trucking Co.? 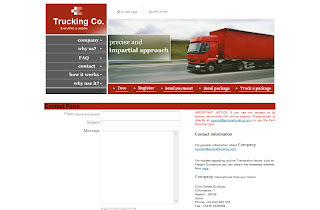 You can only trace a Trucking Co. shipment with a valid Trucking Co. B/L number. We have no knowledge of other carriers' shipments, nor are we privy of House BL numbers assigned by NVOCC's. 3. Is the last move displayed always up-to-date ? 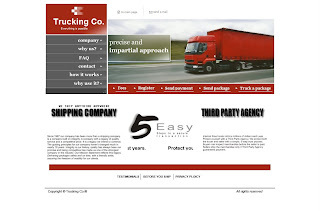 Trucking Co. Tracking system results are for reference only. The latest movement of the container displayed is not necessarily the latest physical movement of the cargo. It is the latest move checked and accepted by the Trucking Co. Geneva central logistics control. For more accurate details, please contact your Trucking Co. agent. However, sometimes you will only find informations if your package is shipped or in custody. 4. What is the database update procedure ? The database is constantly updated, but there can be delays from 1 day up to 5 days for a loading move, and from 1 day up to 3 days for a shipment or a discharge move. Trucking Co. is a global carrier servicing many ports around the world and not all locations are equipped similarly with the same information technologies. 5. Can I obtain an ETA (Estimated Time of Arrival) ? Yes you can. Please email us with your tracking number. 6. What is the cost of Trucking Co. Tracking and Tracing ? Trucking Co. Tracking & Tracing is completely free. 7. Can I track any Trucking Co. shipment ? Processing and delivery time by disbursement method: 1 day for wire transfers and 5 days or more if disbursement is by check. Why use our Third Party Agency? Our Third Party Agency protects both buyers and sellers in online transactions. - The buyer is protected because we do not release the funds to the seller only if the buyer has received the goods and approved them. -The seller is protected because we make sure the money they are to be paid is in our costody before they ship anything to the buyer. Our Third Party Agency accept only wire transfer payment from buyers. Sellers from anywhere in the world will be paid by money order or wire transfer. Our Third Party Agency is easy to use. To get started, just click the Register button from the home page and you will be taken step-by-step through the process. Quite simply, you should use our Third Party Agency whenever you want a secure and inexpensive way to buy or sell online. Our prices are competitive with those offered by other online payment services, and we provide the added benefit of protection for both the buyer and seller. This was my first big purchase on line. I think it was a big process but everything was in order.This was a great way to buy. What made me choose to do business with you was the fact that you answered all my questions. You handle things in a professional manner. Thank You. " Thanks again!